We did it. Today marks the release of Capy’s Below, and with that? The end of 2018, at least so far as video games are concerned. Sure, there may be a few smaller Steam releases in the remaining weeks, but I’m drawing the line here. Game of the Year lists are locked in, and it’s time to settle in for about a month of catching-up-on-the-ol’-backlog. You’ll find me playing Exapunks in the corner. There’s still a bit of last-minute news though! Not much, mind you, but some. Daybreak announced the sci-fi battle royale Planetside Arena this week, Metro Exodus moved its launch date up a week, Blizzard put Heroes of the Storm on death’s doorstep, Monster Hunter: World is adding Geralt, and ZeniMax settled its long-running VR lawsuit against Facebook. Oh, and there’s that awful Sonic the Hedgehog movie poster as well. This is gaming news for December 10 to 14. There are a lot of free games you could spend time with this weekend—or longer, in some cases. First, the permanent one: Humble is giving away copies of Lego: The Hobbit. It’s uh...not the most attractive offer given WB only ever finished the first two-thirds of the game (leaving the last movie distinctly un-Legoed forever) but it is free-to-keep. You’ve got until Saturday if you want to grab it. Then there are the temporary freebies. Ubisoft’s open-world racer The Crew 2 is free-to-try from now through Monday. It’s not the greatest game , but might be a fun way to play digital tourist this weekend. And DayZ is free as well this weekend. Having left Early Access this week, the game’s presumably in the unenviable position of trying to entice people to actually try the finished game, five years on from its initial release and the zeitgeist that followed. Check out the launch trailer below, or just head straight to Steam and download it. Metro: Exodus was supposed to release on February 22, the same day as BioWare’s Anthem. Instead, it’ll now release on February 15, a.k.a. the day after the new Civilization VI expansion and the same day as Crackdown 3, Far Cry: New Dawn, and probably some other games. Damn, February is crowded. The Game Awards swept up most of the trailers last week, but the Kinda Funny Games Showcase last Saturday had a fair few announcements, among them a new Petroglyph game. The developers of Grey Goo and the Command & Conquer remasters are also working on Conan Unconquered, a tower defense game that’s similar, it sounds, to indie hit They Are Billions. This trailer’s pretty epic and I like Petroglyph’s work, so I’m intrigued. The era of the MOBA is truly over, I think. Sure, League of Legends and Dota 2 will continue on apace for countless years, but the gold rush has ended—or at least moved on to newer genres, with all those MOBA companies now building battle royale games. Even the bronze medalist is stepping out. Blizzard announced this week that it’s actively moving developers off Heroes of the Storm and withdrawing official support for the Heroes of the Storm esports scene from here on out. The official blog post claims Blizzard will “continue actively supporting the game with new heroes, themed events, and other content” at a slower pace, but while that’s the official line I’d guess the end days are in sight. After all, Diablo III still receives “updates” every once in a while but I wouldn’t call that a living game anymore. I’m anticipating the same here. Condolences to all the current and hypothetical Heroes of the Storm pros who just found this out right before the holidays, and to any developers potentially affected. Blizzard’s sure making some...interesting moves these days. Daybreak, makers of Everquest and H1Z1, just suffered a round of layoffs last week. But there’s more pleasant news this week, or at least more optimistic news, as Daybreak announces Planetside Arena. Arriving in January, Arena will merge elements of Daybreak’s MMO first-person shooter Planetside with the battle royale genre. If you’ve been chafing at the 100-player limit of most battle royale games, Planetside Arena promises 150-person matches for solo and squad play, as well as a 250 versus 250 mode called Massive Clash. I loved Planetside 2 in its heyday so this is potentially exciting, even if battle royale’s feeling a bit played-out already. Check out the announcement trailer below. Fallout 76 has had a rough month but Bethesda got around this week to adding some of the features that were obviously missing at release, such as patching in an FOV slider, a push-to-talk button, and ultrawide support to the PC version of the game. There’s a big ol’ patch note dump at Bethesda’s site but those are the highlights. Speaking of which, preorders for Rage 2 went live this week. Let me just pull up Steam and...wait, what? Yes, it appears Rage 2 might be joining Fallout 76 on the “Exclusive to Bethesda.net” bandwagon. That’s a questionable decision, I think. While Fallout definitely had that “You’ll buy it whether it’s on Steam or not” appeal, I can’t say Rage 2 has the same sway. I’ll be curious how sales are if it remains locked to Bethesda.net long-term—though we’ll probably never find out, honestly. That’s how it goes when Bethesda owns its own walled garden, even if it’s a walled garden full of weeds. The other question: Does it end up on the new Epic Games Store? Because that could be interesting. I haven’t spent nearly enough time with Monster Hunter: World this year, in part because there’s not nearly enough time in the year. This week’s announcement has me tempted though. 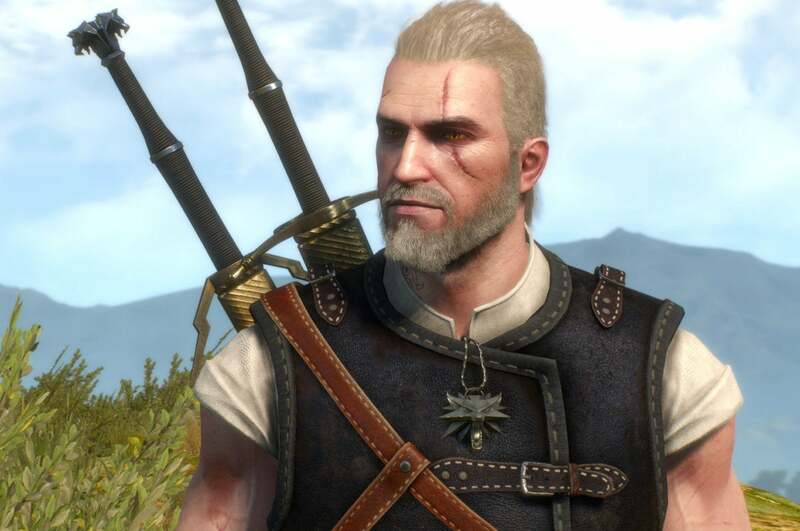 Apparently the monster slayer himself, Geralt of Rivia, will arrive in Monster Hunter: World sometime in early 2019, along with new voice acting by Doug Cockle. This is how I get hooked, I think. And that’s not all. Monster Hunter: World’s also getting an expansion in 2019, Iceborne. Stay frosty, folks. There are two noteworthy pieces of VR news this week. First and foremost: ZeniMax finally settled its lawsuit against Oculus/Facebook—you know, the one that alleges John Carmack and Palmer Luckey essentially stole the Oculus Rift tech from ZeniMax. Unfortunately the details are confidential, which means we may never know whether ZeniMax took Facebook for a bunch of money or not. ZeniMax chairman Robert Altman put out a statement though, saying “We are pleased that a settlement has been reached and are fully satisfied by the outcome. While we dislike litigation, we will always vigorously defend against any infringement or misappropriation of our intellectual property by third parties.” Thus ends maybe the weirdest saga in VR’s weird life to date. 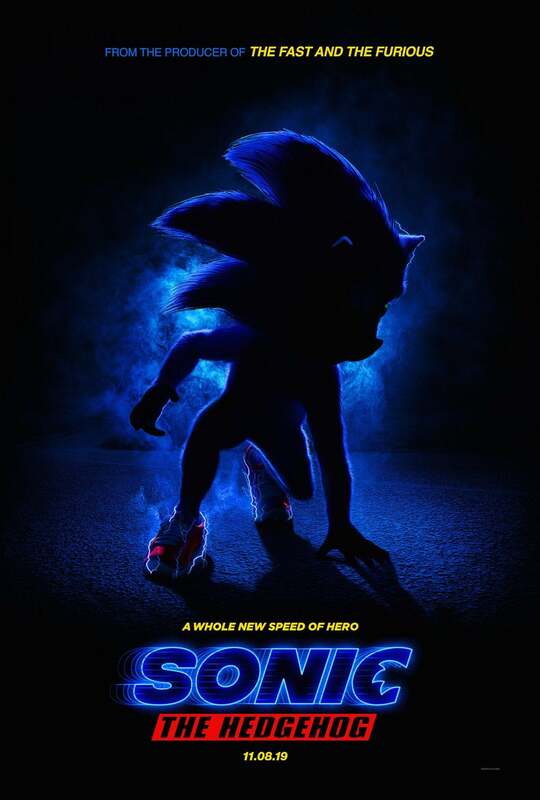 Lastly, the worst story of the week is the Sonic the Hedgehog movie poster. I’m sure you’ve seen it, but if not I’ll reproduce it in all its weird, muscle-bound glory below. Warning: It’s...upsetting.